These reviews where recorded on the last day of the Summer School 2018. One of Europe’s most renowned radar institutes Fraunhofer FHR cordially invites you to join us for our 10th International Summer School on Radar / SAR. We offer the unique opportunity to gain an in-depth education on radar and synthetic aperture radar (SAR) techniques by distinguished international lecturers. Our programme covers a wide range from radar fundamentals over state-of-the-art Radar/SAR systems to sophisticated array signal processing techniques. 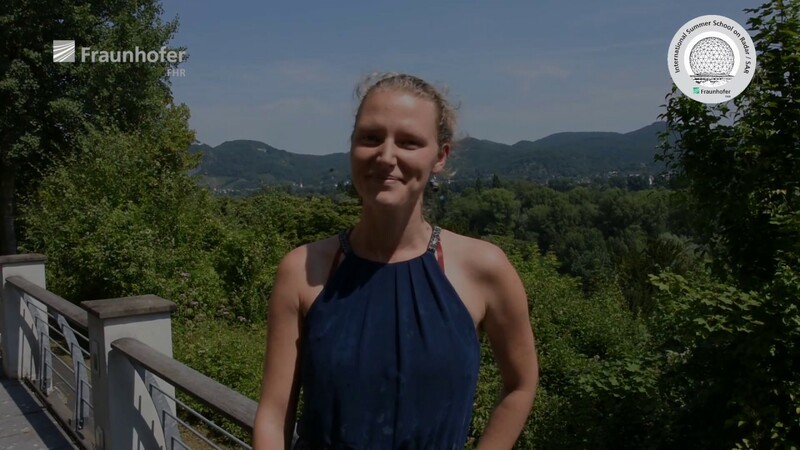 As a student at the International Summer School you are welcome to a stimulating academic environment in a vibrant atmosphere among international radar specialists and experts. Our intellectually rewarding courses (< 35 students) are accompanied by excursions as well as cultural and social events, introducing you to UNESCO’s World Heritage, the Upper Middle Rhine Valley and to the famous city of Cologne. Application is open from December 2017 until 19. March 2018. To offer an excellent teaching and learning environment the number of participants is limited and an applicant selection process is required. Make sure to apply soon!